One comment I always get from you guys is how effortless my style is. Truth is it isn’t as effortless as it looks. I spend a good amount of time deciding what I want to wear. But, the casualness is something I almost always go for. I like to be 100% comfortable and confident in everything I wear, so that’s exactly where I start when putting my looks together. For me effortless style is all about being practical, comfortable and dressing for my lifestyle, which more than 90% of the time is #MomLife. Here’s a few key things to keep in mind when trying to achieve perfect effortless style or the perfect effortless look. • Always start with pieces that make you feel your most confident – For me that’s usually a denim skirt or high-waisted wide leg pants. You just cannot achieve perfect effortless style if you’re not comfortable. • Keep it minimal – Part of a look being “casual” is also it being “minimal”. Does that make sense? You can’t wear a pair of jeans with a white tee then pair it with show stopping heels, a leather jacket and red lipstick. That would just make it edgy vs effortless. •Go for classic items – Denim, denim & denim! Plus white tees, a great fitting blazer, a button up shirt. A pair of sneakers, sandals or your favorite comfortable shoe. Try to stay away from too trendy pieces. • Don’t be too neat – For effortless style you have to achieve that element of being “undone”. Roll up your sleeves on a button up shirt. 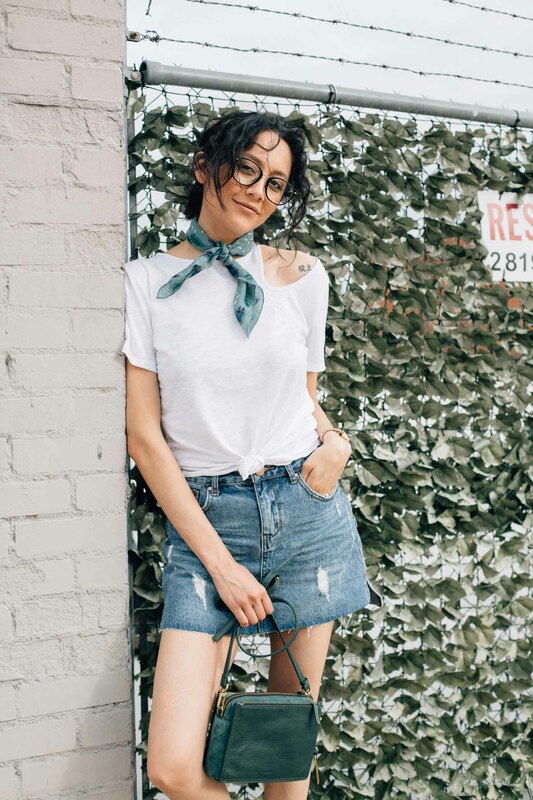 Tie a knot on your tee or do a half tuck. Roll up the hem on your jeans, you get the point. • Add personality – If you’re into designer pieces, add your favorite designer bag to complete your looks and make it your own. I usually add a neck scarf, my round Ray-Ban specs or a hat. Love my effortless style? Join my mailing list or follow me on Instagram for more!